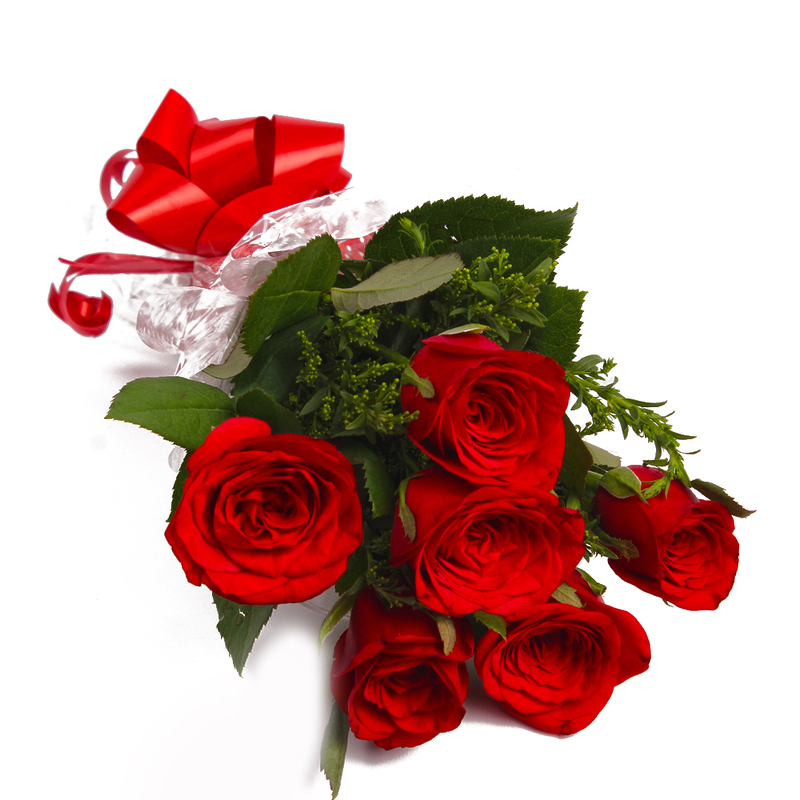 You will fall in love with this gorgeous and pristine red roses without a doubt. 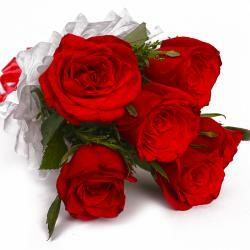 This roses looks resplendent in dark red color and will definitely be an elegant acquisition for special occasions like Valentine s Day, birthdays, anniversaries, engagement and the like. 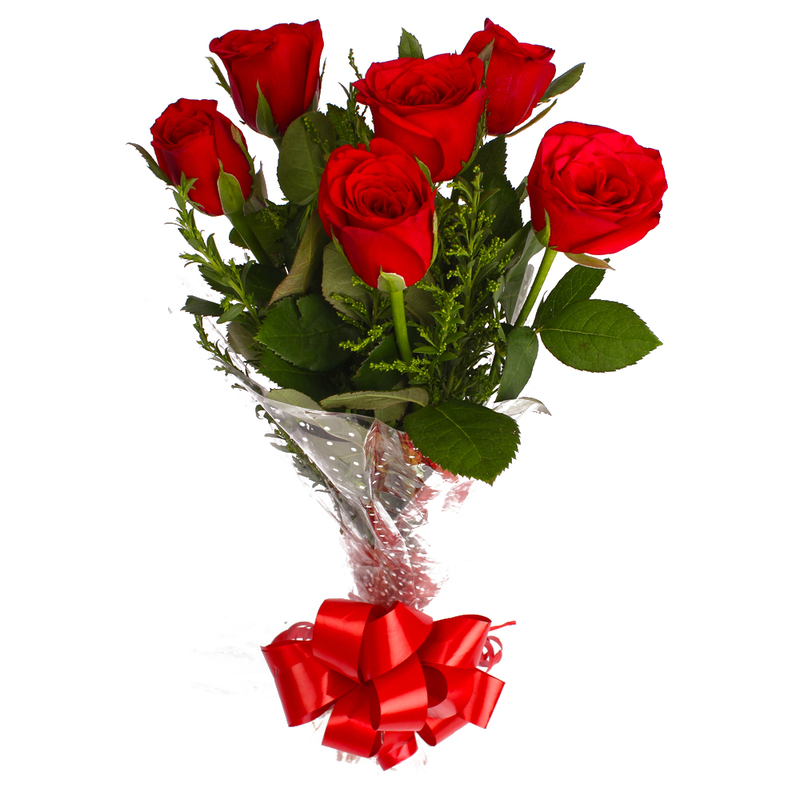 This bouquet of red roses also comes with special cellophane packing coupled with a matching ribbon bow on top for added effect. 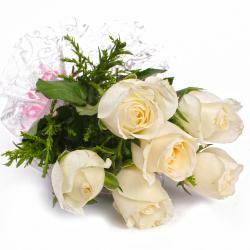 This should be one of the most soothing gifts you will ever find online and can also be a good option for festive occasions like Bhai Dooj, Diwali, Durga Puja, Karwa Chauth and so on. 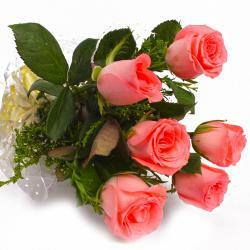 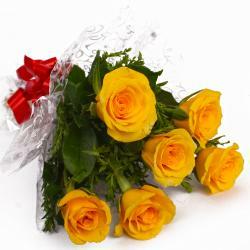 Product Contains: Six Red Roses with green fillers in Cellophane Wrapping with Ribbon Bow on it.